There was a today about three years ago as to whether the estate of novelist Vladimir Nabokov should publish his last, unfinished novel posthumously. After a bit of hustle and heat in the literary press and blogosphere, the publication of that manuscript,The Original of Laura, has appeared between covers. It's a rare instance where I will skip a new book by a favorite author. From the description supplied by Amazon.com, I have no desire to see this esteemed master of English prose reduced to flash cards. I said three years ago that they should burn the manuscript and be done with it. I wish they had. I’m not a fan of posthumous for the simple reason that most of what surfaces after a famed scribe’s death suffer in the goriest possible terms. After the fact manuscripts by Elizabeth Bishop, Truman Capote, Hunter Thompson and (most grotesquely) Ernest Hemingway are less than the respective geniuses. who commanded our attention in the first place. Their genius, that is, and the insistence of English teachers and professors of literature. Rough drafts, juvenilia, awkward early writings where one was working toward a mature style, and copious late-career self-parodies are all things I‘d have preferred to remain in the drawer, or in the box; it’s embarrassing to have a book in your hand who’s publication wasn’t approved by the author in which there’s writing that falls below the superlative standards the author set for himself or herself. Hemingway’s reputation as a stylist diminished in the view of critics of critics and readers with the surfeit of previously unpublished manuscripts. Mailer fanatic that I am, there’s no thirst on my part to read incomplete and unpolished prose from the late writer set between book covers; it seems immoral to let the less tidy writings be presented as “unpublished gems” , or “lost masterpieces”. It’s a dishonest cheat, a fraud laid upon the readership. Nabokov was painstaking in his craft, and it’s his judgment I trust if he deemed the manuscript unpublished. Burn it and allow us a genius unspoiled by erring scholars and eager publishers. What gets me about what's been done with the unpublished work of dead writers is the way in which they're presented; one is nearly always promised that what we have in our hands is a "lost masterpiece" . In any case, the marketing promises writing on a level of these writers’s best work, but this seldom the case. There are exceptions, though, as with the publication of The First Man, the posthumous novel by the brilliant Albert Camus. Critical consensus is it's the equal of his best novels, and I agree. Honesty in these publications would ease by dis-easae with the matter, perhaps, if the emphasis discussed were more historical than aesthetic. The fact remains, though, that there are thousands who want to get a thrill equal to the jag they felt when they read Miller, Thompson, Hemingway, et al, the first time, and it remains a good bet that readers will disguise their disappointment with posthumous efforts with a further elaboration of the mythology--all the cant, clichés and truisms that clog up a cult writer's reputation--which will make this phenomenon a permanent vex. My friend Barry Alfonso brought up the pertinent example of Max Brod, who published Kafka's unpublished manuscripts against the author's explicit dying wishes. It be a challenge, but I suspect I would have done as Max Brod did and published Kafka's work. Brod claims to have told his dying friend that he would not carryout the last request of publishing the manuscripts. True or not, it is known that Brod had encouraged Kafka to publish during his lifetime, to little avail .Being an editor , publisher, author in his own right, he likely couldn't stand the thought of having what he thought as a major body of writing going up in smoke, unread. It was a matter of establishing a deserved reputation for greatness for a writer who wasn't able to judge his own validity; Nabokov had a major reputation and publications at the time of his death, and was, I think, using sound judgement when he requested the last manucript to be burned. It was a practice run, a series of notes, not a book. I think Nabokov was the best critic of his own work. The most interesting case along these lines is the posthumous publication of Kafka's writings. As I recall, he wanted them all burned - a friend of his decided to save them and give them to the world. What's your take on that, ethically? It would be a challenge, but I suspect I would have done as Max Brod did and published Kafka's work. Brod claims to have told his dying friend that he would not carryout the last request of publishing the manuscripts. True or not, it is known that Brod had encouraged Kafka to publish during his lifetime, to little avail .Being an editor , publisher, author in his own right, he likely couldn't stand the thought of having what he thought as a major body of writing going up in smoke, unread. It was a matter of establishing a deserved reputation for greatness for a writer who wasn't able to judge his own validity; Nabokov had a major reputation and publications at the time of his death, and was, I think, using sound judgement when he requested the last manucript to be burned. It was a practice run, a series of notes, not a book. 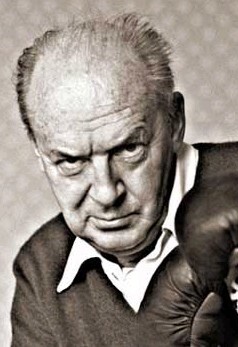 I think Nabokov was the best critic of his own work.